Cost Saving Tips during Moving ? The secret of making your House move less expensive is planning, getting organized, and staying organized through out and keeping a positive frame of mind. There are many ways to make a cheap move and many are very straight forward. Following are some ways which can make your move a lot cheaper than you might think. 1. Arrange your own boxes. 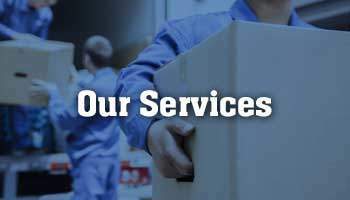 Remember if you hire a cheap movers you may have to pay for boxes and other packaging material if removalists are doing the packing for you. So why pay ?, when you can always find boxes around you. If a move is in the horizon, why pay for packaging material when you can get it for free. Do not throw away boxes from your everyday purchases. Bunnings is a great source of Free/ Cheap cardboard boxes. Even photo-copy paper boxes are pretty good in moving. Even Cheap Removalists charge hourly rates for the move, the more junk you have the more hours it will take to load and unload the truck. So the next coming move is a great way to git rid of the unused goods. Getting rid of unused stuff is a great help even if you are planning to do your more yourself. Donating is another way to get rid of stuff you do not need. Donating to Salvation army is a great way of recycling, helping the needy and feeling good about yourself. 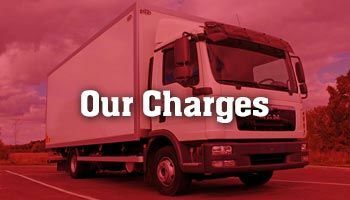 Major removal costs can be cut down by simply packing your items yourselves. Pack them well, so there is no risk of them getting damaged while on the move. Thick towels, blankets, old bubble raps go a long way in protecting your precious goods. This way you can save the costs of packaging foams and protective wraps. Do the packaging properly, as the disappointment of doing all the work and getting damaged goods on the other side is very high & frustrating. You have to be aware you cannot hold the removalists accountable for damaged caused by your own packaging. Prices can vary depending on how busy the removalists are. So it is always a good move to get more than 3 quotes. Also do not forget to analyze the price, sometimes in a cheap looking price extra depot to depot to charges are not included. Do not hesitate to clarify before you finalize the removalist. People get the best rates outside of :- school holidays, weekends, and public holidays. You can save lots of money by planning your move outside of the these busy times. By helping the move you are actually reducing the number of hours worked of removalists, less the time less the total cost. Also Removalist’s per hourly charge is based on how many movers will do the job. If you are ready to help, you can get away with only hiring 1 person and 1 Truck. This way you can save on cost.